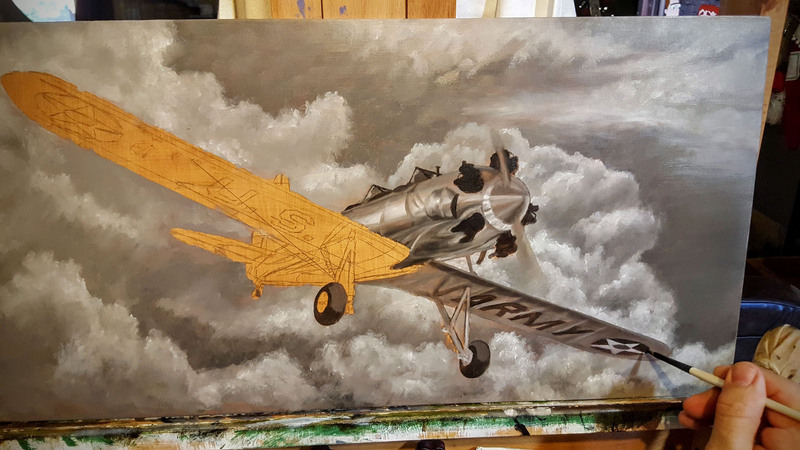 A work in progress of my 24" x 12" oil painting of the PT-22 Ryan Recruit. This is my work on an oil painting of the PT-22 Ryan Recruit. (btw, that's the same kind of plane that Harrison Ford crashed landed with in Santa Monica a while back). 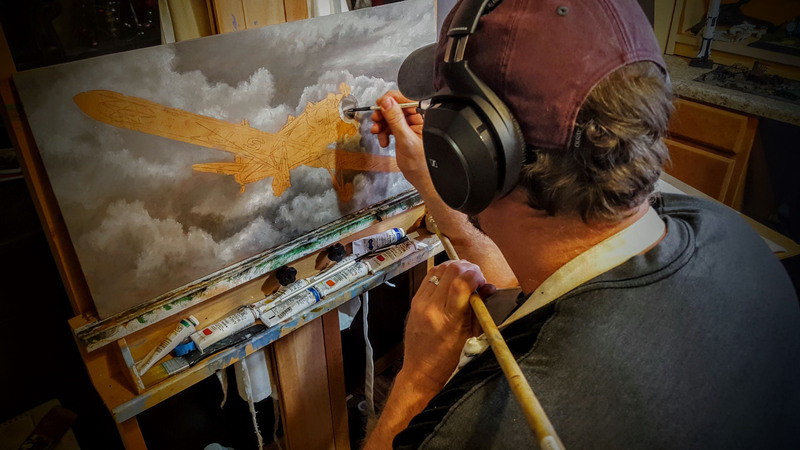 You can see my progress of this painting in my work-in-progress section.